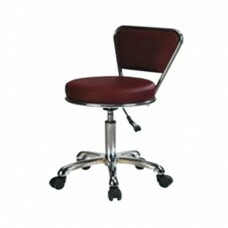 Chair for a master ST-10, buy at the price of 80 in Europe. Lightweight, durable, reliable and agile. This model is equipped with comfortable upholstered backrest, rigidly fixed to the base, which contributes to the strength of the structure. It is very convenient that the beauty chair for a master is adjustable in height, thanks to the hydraulic pump (height up to 58 cm). Rotating wheels provide easy almost silent glide and allow easy movement within the beauty parlor. The rich color palette of a universal upholstery allows you to choose exactly what you need. 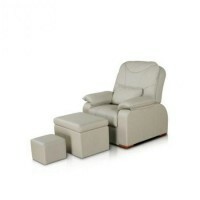 Cosmetology chair will fit into any interior. The upholstery is made of imitation leather, which can be cleaned easily with the help of available detergent, which is a huge advantage. 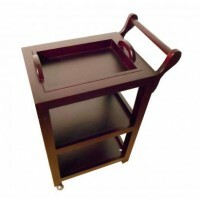 The chrome chair base completes the image of elegant model, making the construction almost airy.